“I am honored to serve as lieutenant governor, and am humbly asking for the support of my fellow Arkansans for a second term. I am proud of the bold conservative leadership we have shown in the lieutenant governor’s office where we are doing more with less: we cut the budget by more than 15% and reduced the staff by 50% compared to my predecessor. My priorities have been and will continue to be growing jobs especially through reforming government and improving education and caring for fellow veterans. There is much work to be done, and I am asking for your support to allow me to keep working for you. 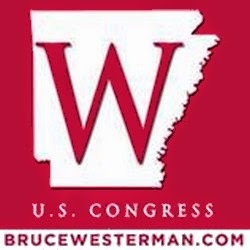 The campaign website is www.TimGriffinforArkansas.com. Lieutenant Governor Tim Griffin was elected on November 4, 2014. From 2011-2015, Griffin served as the 24th representative of Arkansas’s Second Congressional District. In the 112th Congress, he served as a member of the House Armed Services Committee, the House Committee on Foreign Affairs, the House Committee on Ethics and the House Committee on the Judiciary. He also served as an Assistant Whip for the Majority. For the 113th Congress, he was a member of the House Committee on Ways and Means while also serving as a Deputy Whip for the Majority. In Congress, he advocated for lower taxes and reducing the national debt. Griffin opposed Obamacare and had 100% NRA and Right to Life ratings. Griffin has served in the U.S. Army Reserve for over 20 years, was deployed to Iraq with the 101st Airborne Division (Air Assault) and holds the rank of Lieutenant Colonel. Lieutenant Colonel Griffin is currently pursuing a Master’s Degree in Strategic Studies from the U.S. Army War College, Carlisle Barracks, Pennsylvania. He also served as U.S. Attorney for the Eastern District of Arkansas and Special Assistant to the President and Deputy Director of Political Affairs for President George W. Bush. Griffin grew up in Magnolia, a fifth generation Arkansan and the youngest son of a minister and teacher. He graduated from Magnolia High School, Hendrix College in Conway and Tulane Law School in New Orleans and attended graduate school at Oxford University in England. His wife Elizabeth is from Camden, and they currently live in Little Rock with their two children, Mary Katherine, 8, and John, 5. They are members of Immanuel Baptist Church of Little Rock. Tags: Tim Griffin, Arkansas, Lt. Governor, re-election 2018 To share or post to your site, click on "Post Link". This site is an Outreach of the ARRA News Service.